The Philippines and Manila have always been busy places for live poker tournaments. With the new year just getting started, there is no surprise that 2018 is already shaping up to be nothing short of action-packed. If you are in this part of the world and are looking to play, here are key poker events announced for the first quarter of the year. The first live tournament of the year is the 750K Guaranteed event hosted by the Metro Card Club. This event takes place on Friday, January 12 – Sunday, January 14. The Metro, as it is most commonly known, is the country’s largest and most popular brick and mortar poker room. There are over 30 tables with cash games running around the clock and daily tournaments. Each year, the Metro holds several big events with buy-ins quite low that it draws in a large majority of the locals. For their first event of the year, the 750K Guaranteed, players can expect another big turnout with the buy-in fee set at Php3,000. The Metro Card Club is located at the Metrowalk Commercial Complex in Ortigas Center, Pasig, Philippines. Every year, PokerStars Live Manila hosts a number of big festivals in the Philippines such as the Manila Megastack and the PokerStars Championships. These events tend to attract a large number of players from all over the region and scattered parts of the world. From Tuesday, February 13 – Sunday, February 18, PokerStars Live Manila will be cracking open 2018 with another one of its popular events, the Super Series 5 with a featured Php3,000,000 Guaranteed Main Event. If last year’s record-breaking trend was a glimpse of the future then expect this event to be huge. Buy-in to the Main Event is Php10,000. In addition to the main, there are 12 other events lined up throughout the week with the Php1 Million Guaranteed Warm-Up kicking off the festivities. One of the events closing things out is the Php15,000 NLH Shot Clock which is the highest buy-in tournament of the series. PokerStars Live Manila is located in City of Dreams Manila. It is open daily with cash games and tournaments. It has been a while since the Asia Poker League (APL) hosted an event but this year, they are coming out with guns blazing. Making landfall on Saturday, February 24 – Thursday, March 1 is the APL’s Road Series Vol. 1 Philippines with a P5 Million Guaranteed Main Event. So far, this is the biggest advertised live tournament guarantee offered in the country. Buy-in is Php27,500. The APL Road Series Vol.1 Philippines will be held at the Royce Hotel & Casino in Angeles City, Pampanga. This is the only event in the list held outside of Metro Manila. The Asian Poker Tour (APT) will be hosting their 2018 season opener in Vietnam but on March 21 – April 1, they will be on Philippine soil for their first championships event of the year – the APT Philippines Championships 2018. This 12-day event will take place at the highly popular venue of Resorts World Manila (RWM) in Newport City, Philippines. While there are sure to be a roster of side events to choose from, what everyone should be on the look out for are the two featured events: the Php 55,000 buy-in Main Event and the Php 110,000 buy-in Championships Event. Additionally, the APT has announced another event in the country, the APT Philippines to be held on September 11 – September 20. This ten-day event will also be held at RWM. Main Event buy-in is Php55,000. 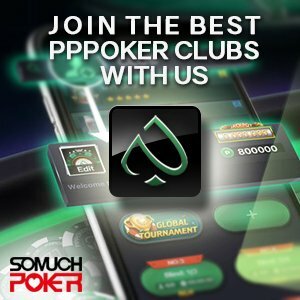 We will likely be seeing more poker tournaments pop up so stay with us here at Somuchpoker for all those 2018 live tournament updates.